Since she stepped away from producing Assassin's Creed games at Ubisoft Montreal, Jade Raymond has had a lower profile in the gaming scene. This week, Raymond is back, having overseen development of the new Splinter Cell: Blacklist, the first major game from her new Ubisoft Toronto studio. She's got four answers for us today...and one question for you. 1. You've worked extensively in both cities, so you're an authority on this: if a person has to choose between vacationing in Toronto or Montreal, which city should they go to? 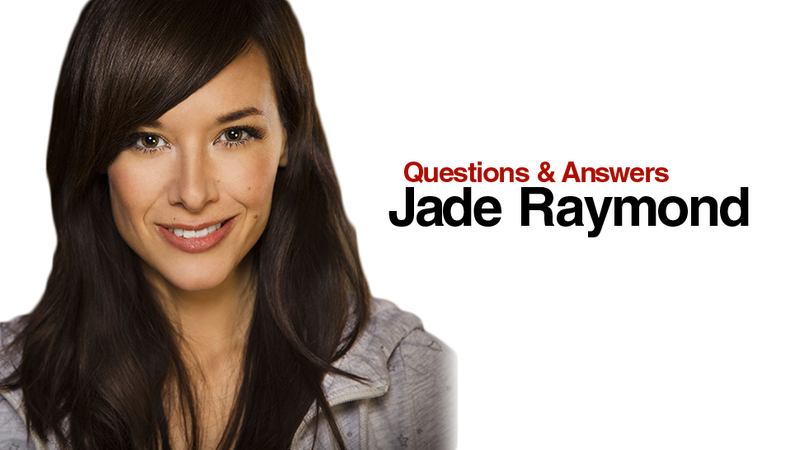 Jade Raymond: Toronto and Montreal are only 45 minutes away from each other and the plane lands right on Toronto Island, so why not do both? For gamers and geeks like myself, I suggest kicking off your visit in Toronto with Fan Expo, happening in August. Then shift gears to the high class world of film premiers to check out the Toronto International Film Festival. During that 1st week of September in Toronto you can't swing a dead cat without knocking over a celebrity and if you are good at sweet talking your way past door staff, there are many fun parties going on. After that I'd suggest heading over to Montreal for the POP Montreal music festival and maybe also check out piknic electronik while there. It's pretty hard to beat a summer night out on a terrace in Montreal. 2. If you could have things your way, when would people find out about a major new video game? Two years before release? One year? The day it's out? Raymond: That's a tough one. When you're working on a new game and excited about it, you kind of want to tell everyone about what you're doing. There's nothing like showing your game for the first time at E3 and hearing what fans think. That feedback from gamers is what keeps the dev team going. But, on the flip side, I also think that we reveal way too much about your games before they are released. As a gamer I wish that more was kept a surprise. I personally prefer having no expectations and then being pleasantly surprised when I play the game for the first time. 3. How do you decide who we'll fight and where missions will be set in a new Splinter Cell? Raymond: I'd love to have Sam fight Godzilla. But seriously, Splinter Cell and Clancy in general are about realism. Our goal is to let players experience what it could be like to be the most elite covert operative in the world. We started our research on Blacklist by bringing in one if the most decorated ex-Navy SEALs who was also Delta Force, a guy from the FBI and an ex-MI6 agent who now runs a private security firm. When you get these guys talking, it's definitely a case where truth is stranger than fiction. The events and missions in Blacklist are based on events that can and do happen. But because none of these guys want to be in the credits, I can't give you any more details. These are scary dudes! 4. You've talked about concerns that a younger generation might be more skeptical of the appeal of big-budget, action-oriented video games, that those might not appeal to a younger Occupy type of crowd. What can those kinds of games do to be appealing to that type of person who might think blockbuster video games aren't for them? Raymond: We have to stop underestimating gamers. Gamers are intelligent and educated, and they appreciate quality entertainment. 1. Why can't people who post on forums be more original? I read those forum posts... Can you please share some thoughts that are a little more enlightening! ?